Recently, a massage studio in Los Angeles reached out to us about a problem they were having. Too many clients could hear their nearby neighbors during their relaxing spa sessions. That’s when we got involved. While consulting with the client, we took measurements and analyzed the location’s acoustics inside. We addressed any noise problems and ran through various solutions. 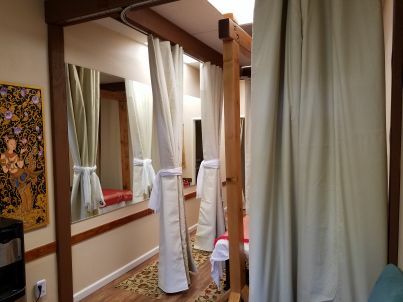 While they had no reverberation issues in the space, there was a considerable lack of speech privacy between adjacent massage spaces. The client could not hold a quiet conversation without being disrupted by another client next door. This meant that they needed a sound-blocking layer between the spaces. 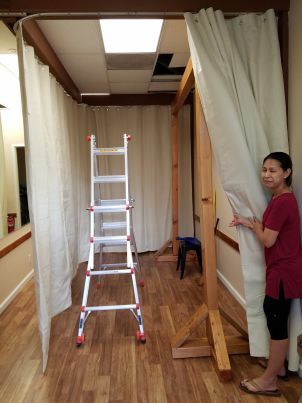 Instead of our client having to seek out a contractor that would have given them something costly and lengthy, we came in and offered them a better solution; customized soundproof curtains for a fraction of the price, and installed in less than a day. We went out to LA with their custom curtains already made. All that was needed to do once we arrived, was install the product, tailoring it to their specific needs. We were able to use the existing track hardware, and clip the curtain grommets in to the carriers. 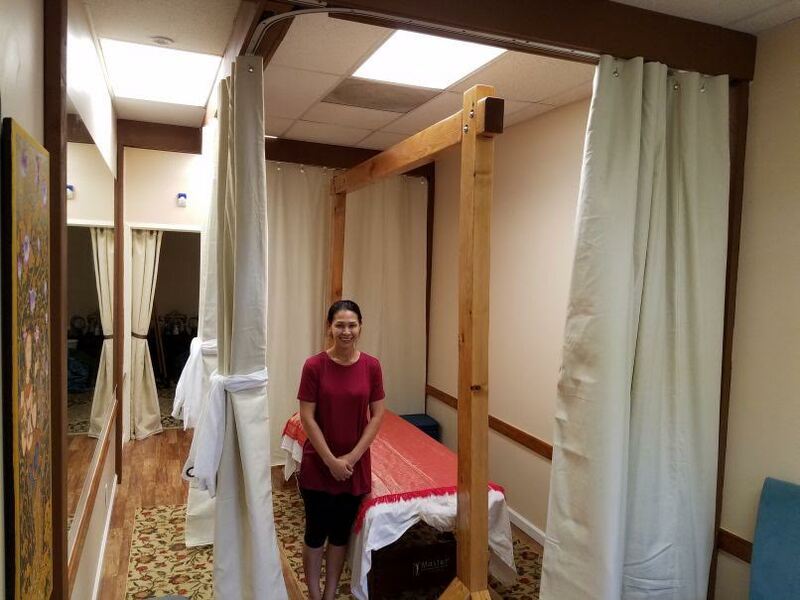 When their massage rooms were just divided by regular curtains, it took away from the privacy and tranquil service that they offered but couldn’t give fully to their customer. We helped them achieve the best quality service they could offer. In the end, we were happy to have helped our client. They were able to give their customers the relaxing treatments they desired. This was accomplished without changing anything in their infrastructure. The soundproof curtain treatment was the ideal solution for them and can also be the solution for you. Purchase your own AcousticCurtain™ and customize it to your needs. 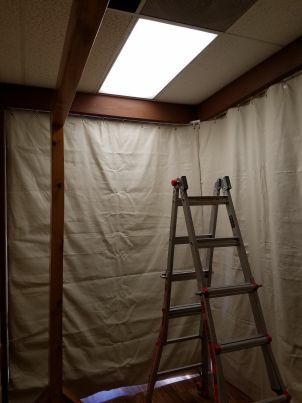 Also check out our other top of the line soundproofing drapes!